Today's design engineers often find themselves in an uncomfortable predicament when replacing legacy parts or parts that have become obsolete; often the result of undocumented drawings, part numbers, or specifications. Servometer's time-saving reverse engineering guidelines have made finding replacement metal bellows components easier for design engineers. This paper offers "hands on" reverse engineering guidelines and provides a solution to finding the ideal replacement bellows for your application. No registration required. Launches of satellites for the Department of Defense (DoD) or other government agencies require scheduling years in advance for the few available slots at the nation's limited number of launch locations. DARPA has been developing new concepts and architectures to get small, 100-lb satellites into orbit more economically on short notice. As walking is a natural process, it's obvious that the designs and control systems of many walking machines are based on natural examples. In the case of LAURON (Legged AUtonomous RObot Neural-controlled), inspiration came from the Indian stick insect. The robot was designed for use in settings that are too hazardous for people, or are difficult to access with wheeled or chain-powered systems. New battery technology from the University of Michigan should be able to prevent the kind of fires that grounded Boeing 787 Dreamliners in 2013. The innovation is an advanced barrier between the electrodes in a lithium-ion battery. At first glance, the Pit Stop Line from Trelleborg Wheel Systems is just a thin orange band hiding inside a solid rubber tire. But for the forklift industry, the Pit Stop Line represents a new era in tire management -- maximizing tire life, raising productivity, improving safety, and reducing environmental impact. From early prototyping to low-volume production, there are a number of quick-turn manufacturing options available at Proto Labs. Our reference poster covers Proto Labs' suite of seven additive, machining and molding services with brief descriptions about each process paired with an intuitive infographic of available materials and capabilities. Get a free Proto Labs Processes Poster. By integrating many small sensors into light mortar systems, Picatinny engineers are developing a technology for use on all U.S. military mortar systems to give Soldiers faster, more accurate mortar fire. The Weaponized Universal Lightweight Fire-Control, known as WULF, couples many small sensors together to create a robust, lightweight pointing device that will markedly increase mortar fire. The new surface-mountable Displix Oval from Osram Opto Semiconductors is the first LED with oval light-radiating characteristics for large-screen video walls, gas station price signs, digital road signs, and more. Thanks to a compact housing measuring just 2.1 x 2.7 x 1.5 mm (including lens), almost twice as many LEDs can now be mounted on a board than with ordinary radial diodes, doubling both the pixel density and the resolution of displays. As a result, the images displayed are extremely vivid with a high color homogeneity. The Poly Chain Carbon Volt belt from Gates is a new antistatic polyurethane solution that meets the ISO 9563 spec and retains its static conductivity longer than comparable belts. 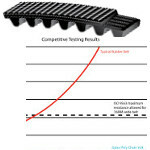 In accelerated lab testing of industrial belts from major manufacturers that meet ISO 9563, Gates experts found that their capacities to dissipate static severely diminished long before the typical end of functional life. The Gates Poly Chain Carbon Volt belt, however, maintains static conductivity to ISO 9563 levels several times longer than its competitors. Smalley Linear Springs are a continuous wave-formed (marcelled) wire length produced from spring-tempered materials. They act as a load-bearing device, having approximately the same load/deflection characteristics as a wave spring. Linear Springs are now available as a standard part in carbon and stainless steel, with over 200 sizes. 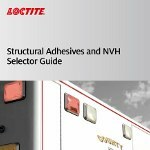 Henkel Corporation has introduced its new Loctite Structural Adhesives and NVH Selector Guide. This 30-page brochure is designed to educate readers about the performance of structural adhesives in demanding, high-stress applications, and to communicate their ability to reduce noise, vibration, and harshness. Engineered to eliminate or greatly reduce fasteners and welds from an assembly, structural adhesives provide superior bond strength, long life, and dependability in a variety of bonding applications involving metals, plastics, composites, magnets, and dissimilar surfaces or substrates. To have a better sense of where to go and what's worth studying on Mars, it could be useful to have a low-flying scout. Enter the Mars Helicopter. The new Alcoa Micromill process, which dramatically changes the microstructure of the metal, produces an aluminum alloy for automotive applications that has 40 percent greater formability and 30 percent greater strength than the incumbent aluminum used today. It will also be the fastest, most productive aluminum casting and rolling system in the world. 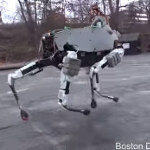 Boston Dynamics gave the world a sneak peek at its latest four-legged robotic creation last week. Spot is a 160-lb electrically powered and hydraulically actuated robot designed for indoor and outdoor operation. It uses a LIDAR sensor to help it navigate and negotiate rough terrain, and it can even follow you home. The creators are mum on any further details, but this scaled-down version of the famous BigDog pack-mule robot seems to address some of the excessive noise and nimbleness issues of its predecessor. Think the world's fastest Rubik's Cube solver is a DARPA-funded droid made by fresh, young MIT researchers? Think again. The fastest robotic cube solver is a Lego contraption. Just how fast? 3.253 seconds. The CUBESTORMER 3 robot, the result of 18 months of spare-time effort by U.K. co-inventors David Gilday and Mike Dobson, employs a Samsung Galaxy S4 smartphone powered by a bunch of extra processors. The phone analyzes the cube, calculates the correct sequence of moves, and instructs four robotic hands to do the manipulations. 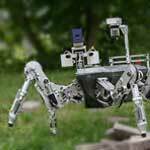 ARM9 processors also power the eight LEGO MINDSTORMS EV3 bricks that perform the motor sequencing and control. This machine won its Guinness World Record title back in March 2014, but we thought it was well worth a second look. 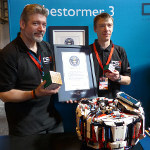 Gilday and Dobson held the previous solve-time record of 5.27 seconds using their CUBESTORMER 2 creation.